Like mother like son. My son, Manny, loves to cook. 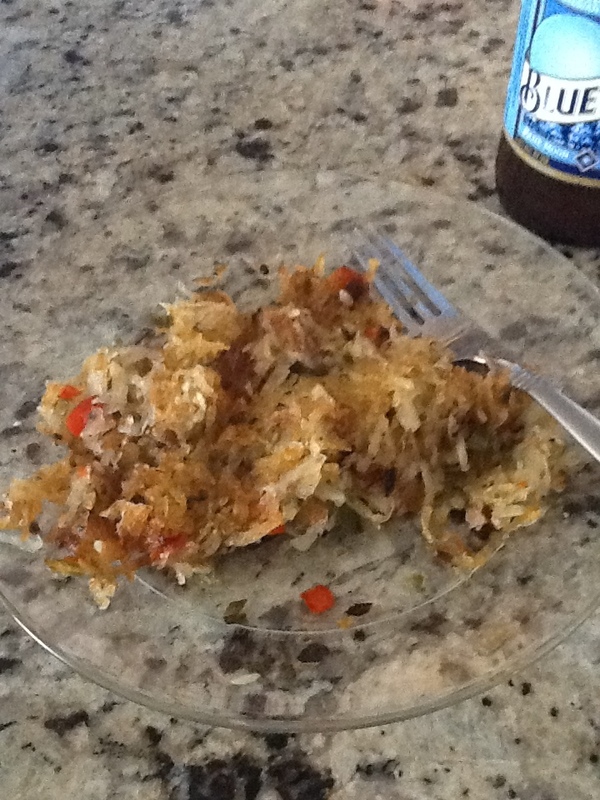 Today he made his famous hash browns for an afternoon snack. He used three large russet potatoes, bell peppers, hatch chile, garlic, green onions,white onions and cilantro. We cooked them first with the top on the skillet and then the last few minutes with the top off to let them crisp up. I enjoyed mine with a Blue Moon and it was awesome. Add a couple of scrambled eggs, and that’s my all-time favorite dish!